This is my first self published illustrated children's book. It explains the problems a child with autism can face. My partner Melanie Janz wrote it and I have been working on the illustrations. 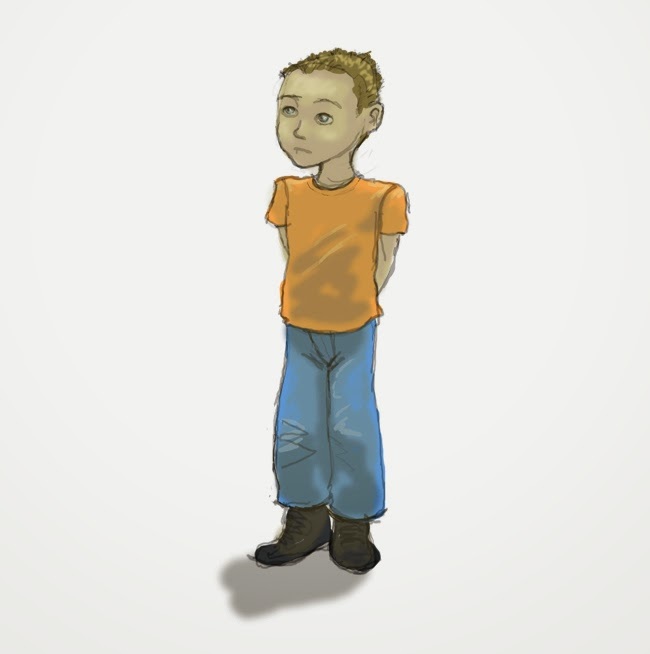 The story is about our son Sammy to help his class mates and other children better understand autism and Sammy's behaviour. The book is called 'Why Does Sammy Do That?'. Sammy was diagnosed with Autism Spectrum Disorder (ASD) when he was four years old. ASD made sense of much of why Sammy was different from other children, and in some ways it was a relief. Once we had been given some insight into why Sammy behaved the way he did, we found ourselves explaining what autism was to others. 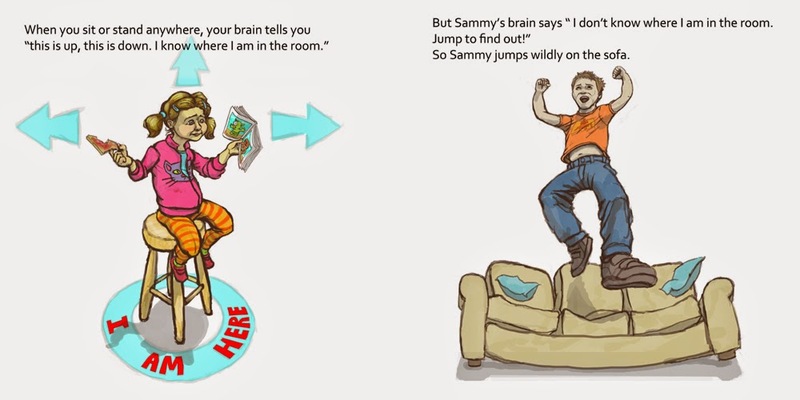 We did find that it was difficult to explain to other children of Sammy's age (also older and younger), but that they were often the most direct about asking "Why does Sammy do that?". Melanie had the idea for a story, which would simply explain some of Sammy's behaviour to his class mates, particularly issues with sensory perception. She came up with it, while she was stuck in bad traffic. Her plan was to put it together with photos and print a couple of copies for Sammy's school and maybe our daughter Becky's pre-school. I suggested I could illustrate it and was also thinking about self publishing. I have published my cg models through online shops before so I thought a book would be more straight forward. Illustrating a children's book is something I've daydreamed about for years. I did a style test, a simple illustration of Sammy looking lost, and Mel was keen for me to do the project. Style test for Why Does Sammy Do That? We were influenced by Ellen Notbohm's book Ten Things Every Child With Autism Wishes You Knew which we both found very useful and inspiring. I started working on the book in mid July, and we published it on the 12 of December 2014. The illustrations were finished by the end of October. November was taken up with bug fixing, proofing and tidying up loose ends. My father proof read the book for us with his years of experience marking students working as an English teacher. It has been a very different project to what I'm used to. It's very close to my heart and was extremely hard to work on at times. 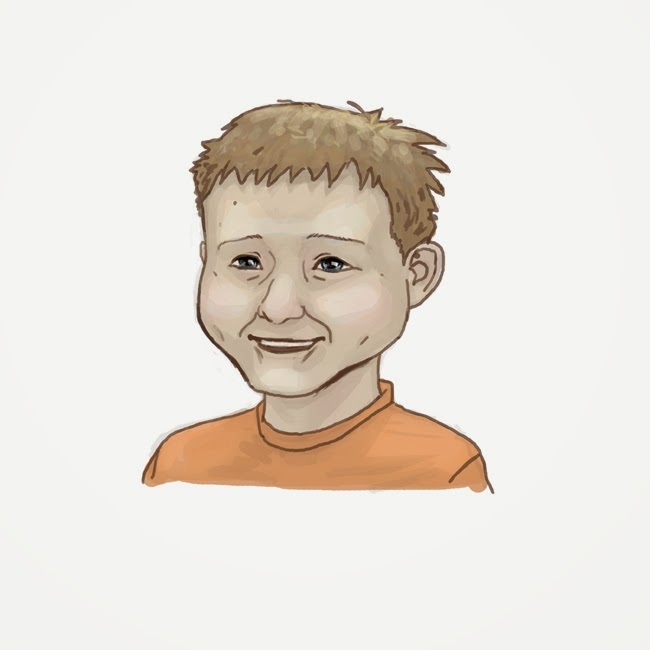 With many illustrations of my son and some of my daughter it was personal. The book often deals with scenes I find very difficult and upsetting. It's hard for me to see people judge Sammy without understanding him, but at the same time understandable. If I didn't know Sammy, as an outsider I might see Sammy the same way. For the illustration I worked in Photoshop. I worked up the lines quite roughly and tightened them over time. The color is quite simply blocked in with a shadow and highlights pass. The color is layered under the line work similar to cell paint in traditional animation. You can see in the style test that I was thinking of a more loose finish, but when it came to the book I tightened it up. The format for the book is 8.5"x 8.5" at 300 DPI I created the originals at 10x10 and shrank them down for the final version. I had a palette layer that I passed from file to file to keep my colors consistent. Work in progress on one of the illustrations for Why Does Sammy Do That? We used Createspace for this project. It was relatively straight forward to work with, there was a hiccup with the resolution being too low. I unfortunately didn't spot the problem until we had a printed proof. This went round in circles for a bit until I asked on the site forum and was told by other users to re- upload the file, which magically solved the problem. I used photoshop and uploaded the final print files in PDF format. I would probably use createspace again, but it seems if you get stuck, the forums where you can talk to the other users are the best way to go. The pictures in the book are mostly children we know. 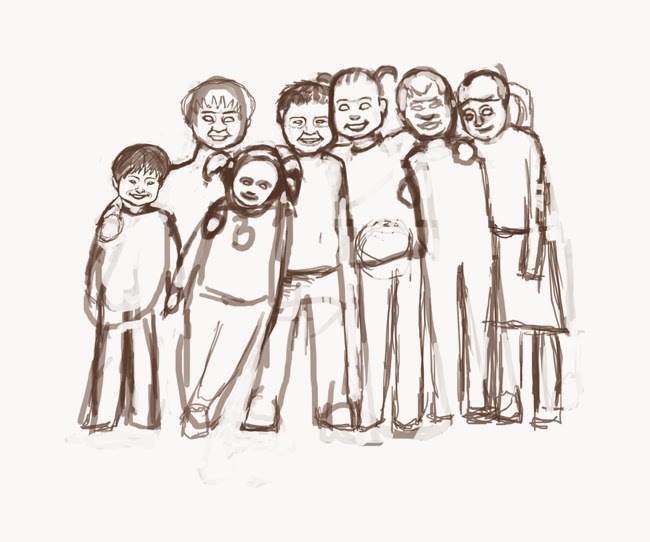 The most obvious is our son Sammy, but my daughter Becky also pops up in a number of the illustrations as do our neighbors, a cousin, various children from Sammy's school and our cat Ember. We have had wonderful feedback about this book from friends and family, the other parents from Sammy's school and also the teachers and support workers who work with Sammy. "I love this book. 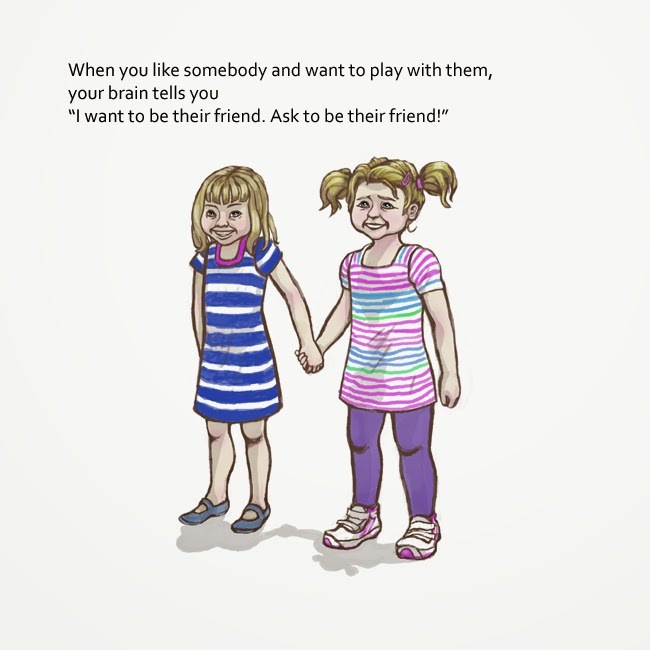 A perfect book to explain autism to children. It made me cry." "This is a must-have for anyone who wants to help their children understand the world and mind of an autistic child. Beautifully written and illustrated, and very moving." 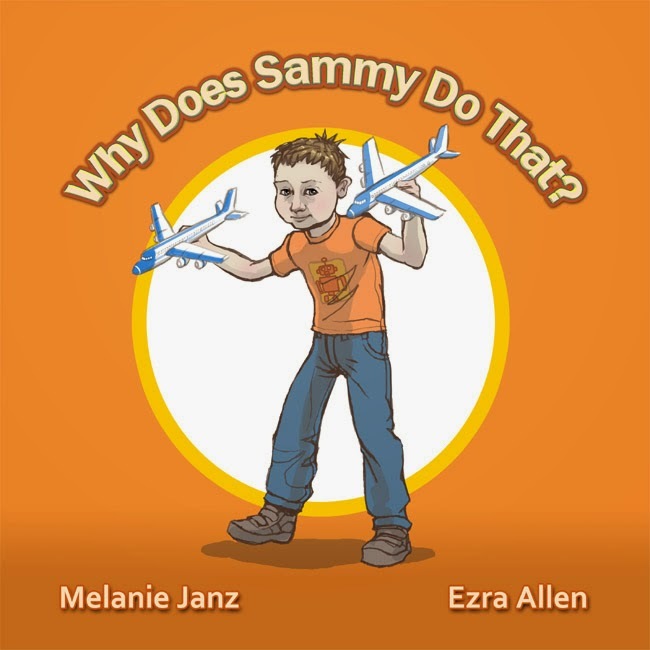 It's now available on Amazon in the UK Why Does Sammy Do That? Also in the US Why Does Sammy Do That? Please can you share plus and like to help us increase the awareness of autism! Thanks to everyone who has supported us with this project! 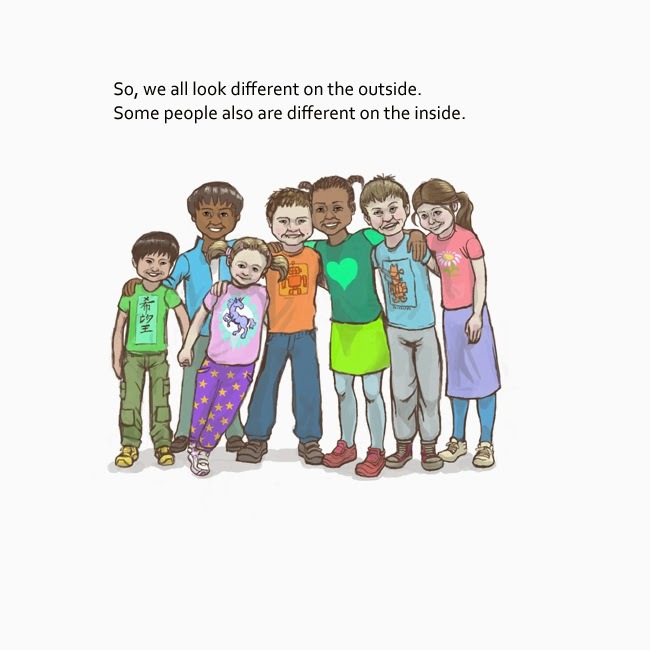 Labels: ASD, autism, illustrated children's book, illustration, Why Does Sammy Do That? Thank You. My son has a learning disorder that has symptoms resembling those of an autistic child. As a parent I have experienced the disapproving looks from people who do not understand what a child like Sammy or my son, Ryan are going through. Your post has moved me to tears, and I wish you every success in distributing this book as widely as possible to educate both children and especially parents who don't understand the challenges and the joys of bringing up a child with different needs. Helping others understand what our children are going through, and why they don't fit into the accepted norm is an important part in changing people's perception of children with autism and similar challenges. Thank you again for sharing your experiences and wisdom in a way that everyone can understand. Wow thanks very much for the lovely comment. Many of the parents and teachers who have read our book have said that they learned from it too. I certainly learned lots about autism with Sammy and we really hope we are able to pass it on and make peoples life easier. My partner wanted to add something: I wanted to wish you all the best with your son. Very often when I go shopping with Sammy, I wish I could tell people 'Sammy is not a naughty and spoilt child, but a well behaved autistic child.' It sounds like you have had similar experiences. But if we all tell the world what it is like and we are acting as ambassadors for our children, their future can only get brighter! Again all the best for you and your son and enjoy fully all the wonderful moments you have together. What a wonderful idea for a children's book! I think most of us don't have a clue as to what autism entails. We really need to be educated on the subject. Thanks NP we are really grateful for anybody who is taking an interest. A very worthy project and you both deserve a pat on the back. I hope it does well and I hope it make a lot of people understand autistic children just that little bit better. Thanks Big D, the great feedback and best wishes are overwhelming. Comments welcome, this is a dofollow blog. I'm an artist, specialising in computer animation. I use Maya, Z-brush, photoshop and a graphics tablet to create my work. All art work & animations shown at Deranged Scratchings were created by artist Ezra Allen unless stated otherwise. Copyright belongs to either Ezra Allen or the client it was created for.